Chrome plated brass tap. Minimum working pressure 0.1 bar. Complete with waste. 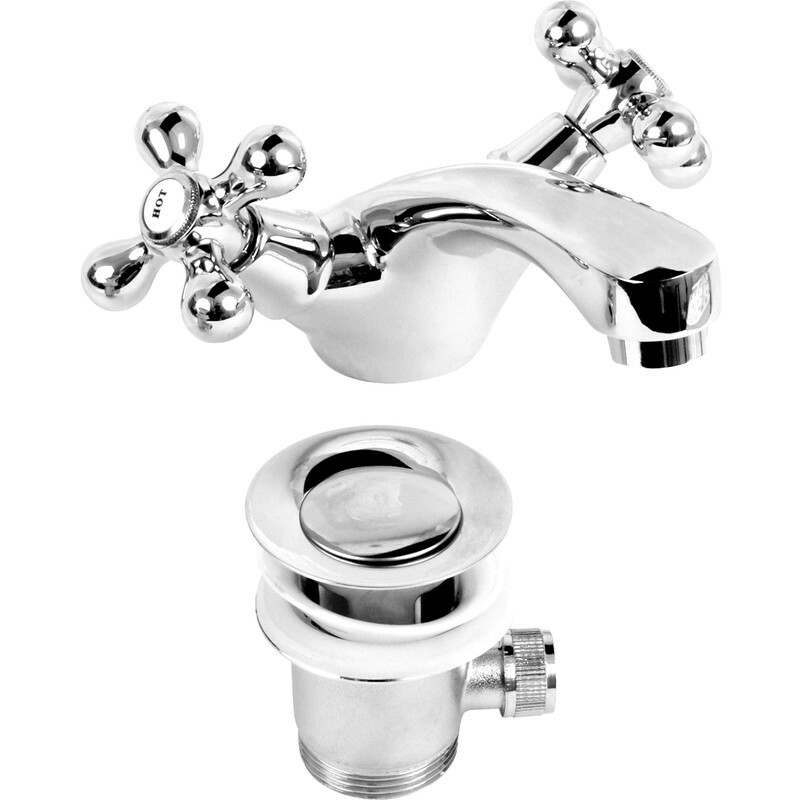 Traditional Monobloc Basin Mixer Tap is rated 4.4 out of 5 by 5. Rated 5 out of 5 by Kanny from Looks great Bought a couple of weeks ago. A little worried that product was inexpensive, but plumber said it was good quality and certainly looks good. Rated 3 out of 5 by Pjbdiy from The tap quality looked good I bought this to replace a tap that always had poor flow even though it was for low pressure system. This tap had the same size inlets so returned. Fitted tap that had larger inlet that matched the isolation valve, 2mm dia. makes a big difference. I often find the info on the website lacking and even phoned the supplier but still wrong. The product looked good and would have fitted it if the inlet bore was the larger size. Rated 5 out of 5 by akselo from Great item at low cost Great mixer taps, it’s actually better than listed. It’s actually a pop up waste with out the poksy lever.